That’s what Bob Proctor said on the stage as he was leading the recent Paradigm Shift event held in Los Angeles this past October to attendees in the room and those following the proceedings in over 90 countries around the world on the Live Stream. The event was presented by Proctor Gallagher Institute, the institute founded by Bob Proctor and Sandy Gallagher to distribute Bob Proctor’s and Sandy Gallagher’s teachings and methodologies for personal growth, achievement and success all over the world. 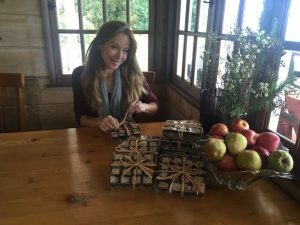 The cookies were a thank-you gift to Bob from acclaimed American actress, Jamie Luner, who had attended the previous event presented by Proctor Gallagher Institute on goal setting, at which she played a leading role in an extremely powerful visualization exercise Bob created for all the attendees to experience, and was one of the attendees at the Paradigm Shift event in Los Angeles as well. At the Paradigm Shift event, soon after Bob began to discuss the concept of creating multiple streams of income, it occurred to him that it would be a good idea to connect Jamie with Jason Fladlien, another attendee at the event. Jason and his partner, Wilson Mattos, are founders of a highly-successful online marketing venture called Rapid Crush. The next thing that happened was that within a few hours the Web site, bobsfavoritecookies.com, was born, and Jamie announced that the proceeds from the launch of the cookies would be given to Proctor Gallagher Institute to be added to the funding it is providing to Unstoppable Foundation run by Cynthia Kersey to build schools in Africa. Attendees at the Paradigm Shift event were invited to go to bobsfavoritecookies.com to register to receive news about the launch of the cookies. I have since learned through an email from Jamie that you will be able to order Bob’s Favorite Cookies for Valentine’s Day during a 3-day window to order that is opening on February 6. So click here now to order your cookies, so you don’t miss out on the chance to enjoy these delicious cookies and support Jamie’s efforts to raise funds for Bob and Sandy to send to Unstoppable Foundation for more schools to be built in Africa. 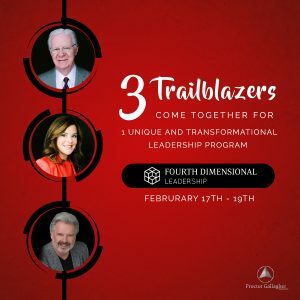 Note also that the next event presented by Proctor Gallagher Institute with Blaine Bartlett, Fourth Dimensional Leadership, is being held in Los Angeles on February 17, 18 and 19. To obtain a ticket for the Live Stream, click here. And if you can’t be present on the Live Stream, you have 14 days in which to see the replay, and that gives you additional time to absorb the material presented. I have attended the past two events on the Live Stream, the first while it was happening, and the second through watching the replay whenever I found time in the two weeks after the event, and each one has been a phenomenal enriching learning experience. Also highly recommended is the program from Proctor Gallagher Institute called Six Minutes to Success. With this program, you receive an email every morning with a link to a short video in which usually Bob Proctor and sometimes Sandy Gallagher provides a valuable insight about personal growth, achievement or success for you to apply in your life to achieve your dreams faster. 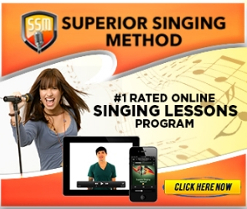 Each video is accompanied by a downloadable audio and transcript. 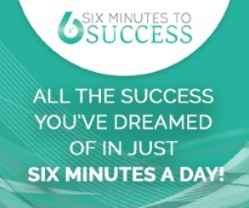 To find out more about Six Minutes to Success, click here. P.S. To see the two shows featuring Drew Angus with Spencer Inch on Alive with Clive, click here.